After losing my “good government job” with Wayne County in August, 2006, I gave myself 24 hours to get myself together and that was it. The mortgage company couldn’t care less what I was going through, and neither would the rest of my bills. That much I knew. It was time to get busy. Still, I’d be lying if I said I wasn’t shaken up when, 45 minutes after reporting for work on a Monday morning, I was walking back out the door with a box full of what few personal belongings I had kept in my office throughout my five-year tenure. As I was receiving the news from my former boss I had to remind myself to breathe. Looking back? I have to say that my small amount of personal belongings is a revelatory peek into the somewhat subconscious state of mind I was in throughout the entire time I was working my day job. The fact that after five years as a department executive with considerable responsibilities I could nevertheless easily leave the office carrying all my personal belongings in one medium-sized box? If you peeked inside the office of just about anyone else at the job, any executive or manager, you would have seen pictures of family, stuffed animals, plaques, plants, you name it. Stuff to make the environment seem more like an extension of home. Quite frankly I never understood that urge. The only thing I had on my office wall was a calendar provided by the office. I didn’t even have a photo of my wife in there, and I love my wife. Just office stuff. It’s as if I went in there with the feeling that I did not plan on being there long. Maybe I always knew what I really needed to be doing was working for myself because that was likely to be the only time I was truly willing to commit myself all the way. Committing yourself 100 percent to somebody else’s company or vision is great for them, but what does it do for you in the long run? For me, I will easily concede my job was a fine learning experience where I picked up some valuable skills that have served me well over the past two years, but in no way was it ever where I was destined to spend any length of time. Not to say that getting laid off was a great experience – it wasn’t – but I am definitely saying I have yet to miss anything about the place. It’s amazing how fast some things can disappear into your rearview mirror, and that’s mostly because those of us who are self-employed don’t have a lot of time to look back. We’re too busy figuring out how to make the numbers work to get us through the next month. Those of us who have lost a job – and there are a lot of us – know that it can be one of the most difficult life experiences an individual is ever likely to endure. Job loss can rip apart the fabric of a life. Those of us who have been forced to create our own jobs know that this, too, can be one of the most challenging experiences ever. 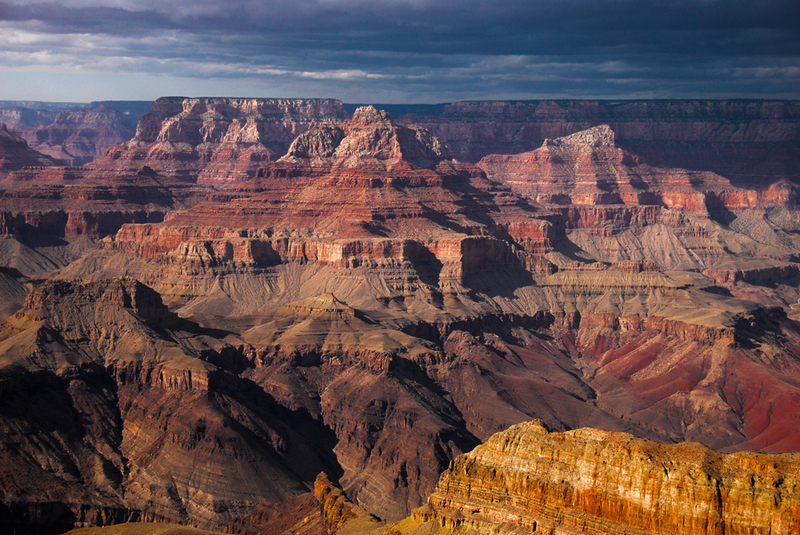 But the one thing we know is that the space between ‘self-employed’ and ‘unemployed’ is exceeded only by the grand canyon.